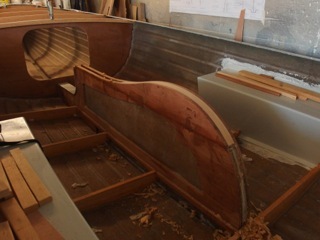 With C54 now only days away from launching, its the turn of James Anderson’s C55 to undergo the Simon Hipkin fit out treatment. The hull and tank mouldings were moved from White’s to Simon’s yard recently and Simon is already making great progress. James went over the yard to see for himself how things are going and sends us the following photos. 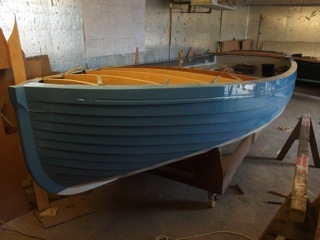 He also report that Simon is taking a slightly different approach to fitting out this boat as he plans to complete as much of the interior work as possible before fitting the decks, as he found on Alan’s boat that having the decks in situ made some jobs more tricky. They are still on target to have the boat in the water in good time for Pyefleet Week.